Discussion in 'General Lounge' started by TheoAllen, Mar 26, 2018. This might not the same as "story behind your username" thread as your avatar might change often depends on your mood. But hey, it's not hurt to tell a story behind it and why u ended up choosing it especially for people with 'permanent' avatar. It all started back from my junior high school, the character on the stamp was basically a self portrait of me. But the appearance has changed quite much, but still a self portrait of me. I used to change avatar quite often when I was new on internet world around 10 years ago, I changed based on what I like (in fact, I still did it, in not so serious sites like facebook / twitter / discord). But I could say, I finally decided that this is me, with this avatar now. However, deciding it took quite time. The time I could finally draw a digital image better, I tried to recreate my own portrait with better quality. First redraw was like this. Then, I redraw it once more few months later, like this. At this time, I cropped the face, and used it as my avatar. And I used it for my avatar in social media. Dat's cute, I like it! 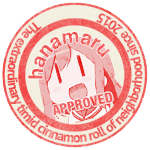 Without much wait, he converted into a Seal of Approval stamp which I used it up today. And I don't think I will change my avatar "identity" anymore at this point. The right one is based on my character on a project that is currently hiatus indefinitely, also once used as my avatar as well. 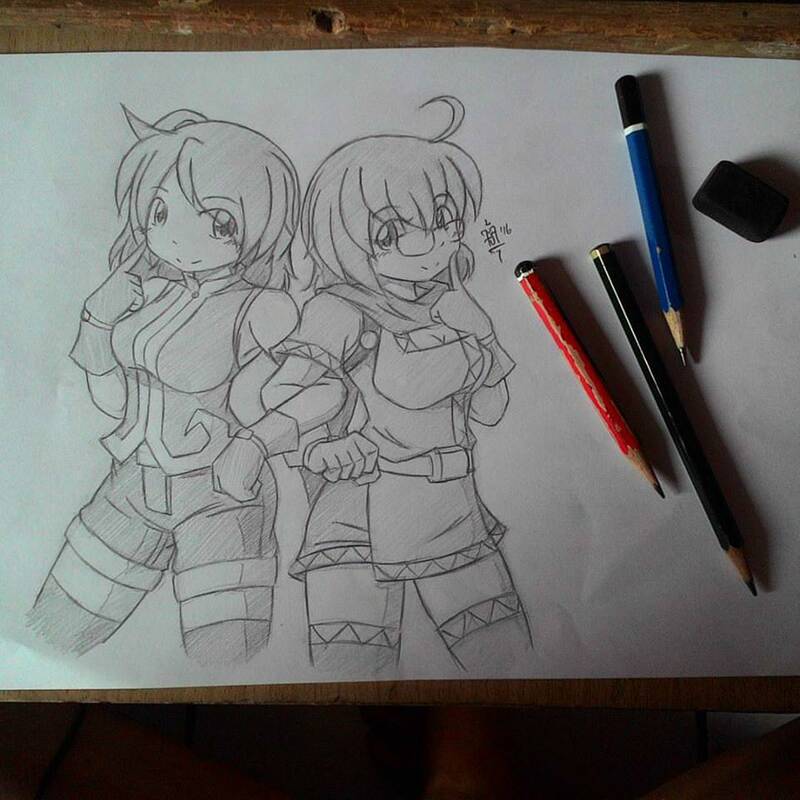 Redrawn by my friend. GriffoxEnt, BlissyMKW, consolcwby and 12 others like this. Its a small part of the logo I use for my multimedia business and have been using since 2011. Canini, Shinma, starlight dream and 2 others like this. That's a cool story! I always really enjoyed the "Seal of Approval" theme that you and a few other users like my good friend @DrDhoom had going on for a while. Cool to finally know how it came about. My own avatar was something I doodled up (mostly scribbling then using Filters) in Photoshop Elements while I was lounging around in a library at University of Florida between classes. I was playing a lot of Civilization IV at the time, and I think the beautiful opening menu sequence from that game probably inspired me to make this. kaukusaki, Shinma, starlight dream and 4 others like this. Not much story behind it really. 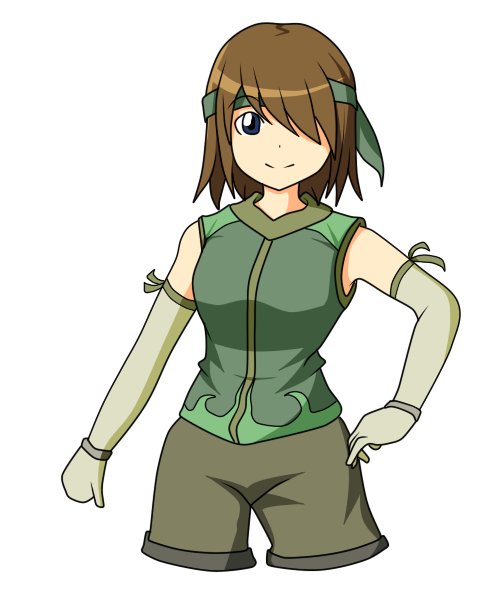 I did my best to build a portrait that could represent me as a digital RPG-Maker-like portrait. kaukusaki, Shinma, starlight dream and 3 others like this. I like pink and I like tea. Shinma, starlight dream, Gabrelik and 2 others like this. Nobody knows where he came from. He just happened to be there. Bad at socializing, always alone, but always a friendly talker. He doesn't do much. But he never fails to leave an impression. No matter where he goes and what he does, you'll always notice one lone guy wandering around. And just as he comes, he leaves. Nobody knows who he is or where he came from. And people will soon forget about him. But at that moment everybody knew he was there. That's the life story of Poryg. And this avatar is to represent that. Othet than that, it's been made in an online face generator. Finnuval, pandadodod, Shinma and 4 others like this. Mine nothing’s special. Just me in pixi red colour with tiny arabic word on my left shoulder. Why red? I like red colour. Enlargement image in spoiler below. kaukusaki, Shinma, starlight dream and 1 other person like this. Well, I change mine once every few months. 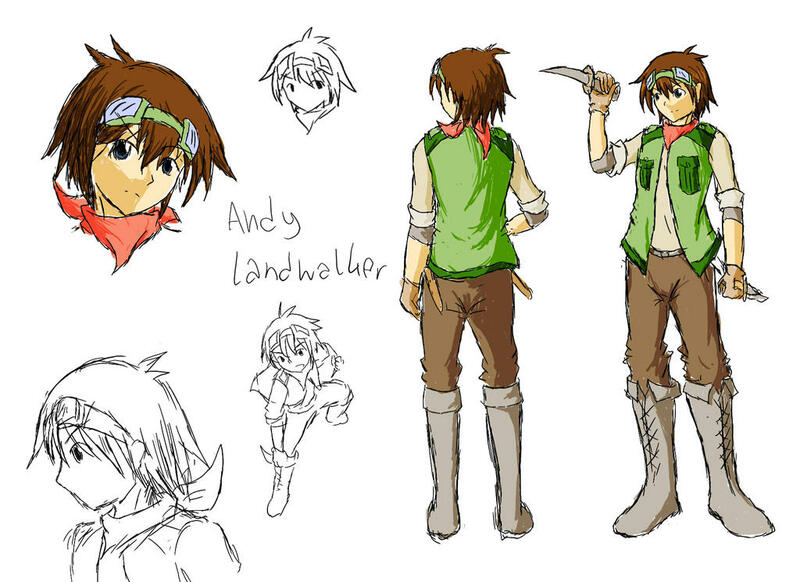 The current one is a character from my recently released game (Snares of Ruin), drawn by Adyrn. He's Detective Hank Anderson. Apart from being a detective, he's also a bit of a womanizer (well, the degree of this depends on player choices!). I've also been told that he looks a lot like me in real life. But that's about it for the story of my avatar. 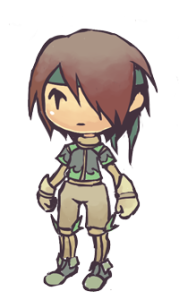 Most times I just have a character from one of my games for the avatar. (Though I did one time had an avatar of an animated robot I made myself (in photoshop that is, not made in real life, lol)). RocketKnight, Shinma, starlight dream and 2 others like this. Ah, Seal of Approval. That gave me nostalgia. And yeah, I have my own version of the Seal of Approval. Fact: it was made at the same time with @TheoAllen's. The history behind this SoA fad was my urge to make something distinctive and remarkable. After several trial-and-errors, I sought for a better reference and found the free-to-use template. Long story short, boom! 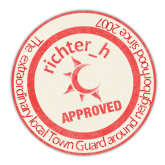 richter_h's Seal of Approval was made. Not long after I made my own seal, I made some more for some fams. Those bear similarities in shape and pattern; the color and the picture inside the circle distinguish each seals. If you wonder why some people have similar circular avatar with several words around it, now you know where those came from. Talk about the picture inside the seal, that one above incorporates the character from Eremidia: Dungeon! (which is now known as Eremidia: An Empty Tome). The idea of the characters was conceived back in the local forum where I came from. In the project, I am represented by this guy. Also yeah, credits to Lazcht. Unlike Theo, I tend to regularly change my avatars, but not so often. The current one was randomly taken from Little Witch Academia because of its comical value. Well, the character potrayed there was comical enough, tho. Back then, I put this as my avatar in this forum as well as several places like Twitter, ArtStation, and Instagram. Currently I set this piece as primary Twitter profile picture. Also, there are several iterations of the seals. The left one is the old version of the seal I've shown above. The right one is the genderbent version of him. If you're interested in the genderbent version of Theo and Richter, click this link. Also, a bonus. You may recognize me in several places by these seals. These are based on yet another Love Live! character, Nishikino Maki. Shinma, starlight dream, Wavelength and 2 others like this. When my son was a few months away from turning six years old, he was getting into the Dragon Warrior series quite a bit. 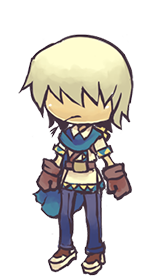 I decided to make him a pen and paper game based on it and other things I thought he'd get into like D&D and Final Fantasy and such. I also had a sinister motivation: make him want to learn a lot of basic math skills like quickly adding numbers, managing running totals and some decision making skills. When I started the project, I replaced my Facebook avatar with a slightly different version of my current one I use now. As extra motivation, I vowed to keep it until I was done. Well, it took me a year to finish his game. By that time, I didn't really want to change it around anymore. Slowly but surely, I ended up changing most of the avatars for others sites over to it as well. My son still plays the game I made for him. In fact, we both played it together over the weekend. It's funny that this thread popped up when it did. gambitben, Finnuval, Schade and 11 others like this. Long ago, when Anime was very difficult and/or expensive in the US, I found one I thoroughly enjoyed: Vampire Princess Miyu. In that show there are creatures called, Shinma. Miyu fights the stray/bad Shinma, but she has one that is her guardian. His name is Larva, and that is his picture as my avatar. So my avatar is of Larva, a Shinma. Mine has been changing a good bit recently, and currently it is to showcase the latest project. I add a creature to the bestiary every week or so, which in turn gets added to the avatar. The name, however, is based upon a pen and paper game my friends and I made when we were children. I was barely a teenager, and in love with the concept of making games. Gabrelik was the name of the very first character we ever created. Only seemed fitting to adopt the mantra as I began to make real progress with that dream we all shared then. Matseb2611, starlight dream, Felicea and 3 others like this. No real story behind mine. Made the image to mess around in Ren'py but liked the way it looked so stuck it as my avatar on here. starlight dream, Frogboy and Gabrelik like this. Well mine simply shows my now 12 year old dog, Pepper when he was just a couple of weeks old. After my younger sister he's the most important thing in my life and I often have a picture of him as my avatar in most forums I'm on. Shinma, starlight dream, Frogboy and 1 other person like this. My current avatar is simply a random image I found of a Polyphemous Moth (my favorite animal) on Google that I decided to crop and use as an icon. I forget what I was thinking that day, to be perfectly honest. Nowadays it's the avatar I tend to default to when I want to look at least somewhat professional (which is why I decided to use it for this board). Philosophus Vagus, Shinma, Frogboy and 1 other person like this. <--- This is my avatar, Cat from my game (yet, to be finished, but really developing into a quite a character) CAT & DOG. I developed it as a side story to another story: Happy and Angry (two married rabbits with a family of children. She's into western foods, a manga artist and her husband is a very traditional Asian rabbit whose a lawyer. lol. Cat and Dog are their pets.) I simply adore the characters, so I hope to get Cat's picture just right, but I am a bad digital artist. T_T She's based look wise on the Cat from Chii's Sweet Home, because I just loved the story and the character. Philosophus Vagus, kaukusaki, Shinma and 3 others like this. Frogboy and Canini like this. Finnuval, sleepy_sealion, Rayhaku808 and 3 others like this. All of my icons tend to be of a character from X-1999 named Seishirou Sakurazuka. I'll use images from the manga & the anime of that character for my icon, where ever I go on the net. & I use the same or nearly the same version of my user name here as well. Which contains references to the character, as well as subtle references to tarot symbolism. However, I don't care for discussing the symbolism & metaphor behind the selections here. This is my avatar! 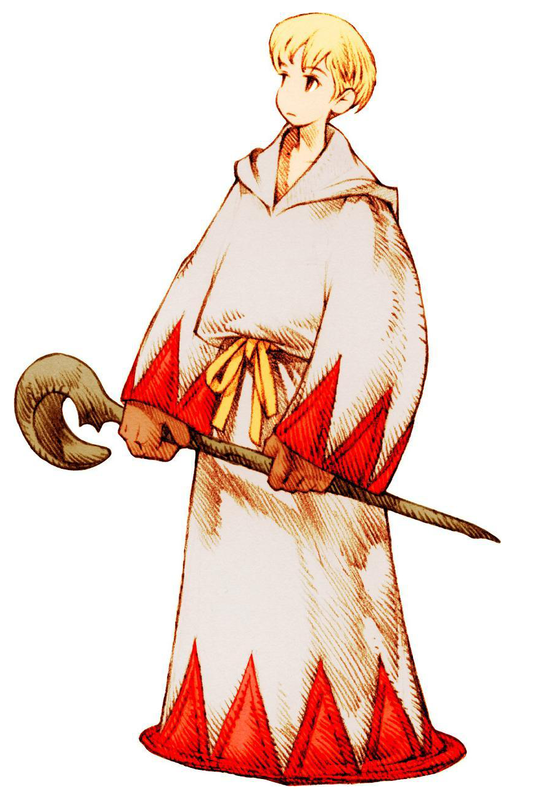 XD White Mage from FF Tactics! Felicea and Frogboy like this.